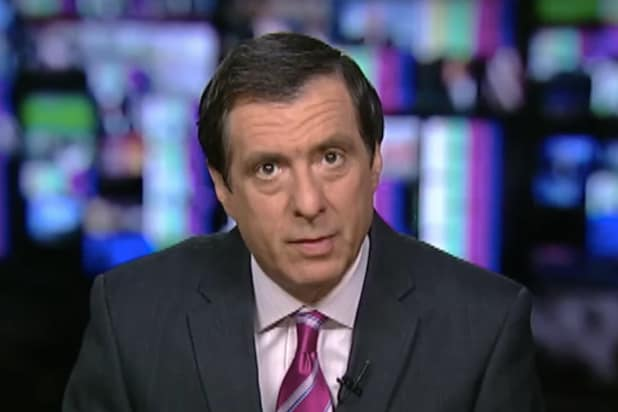 Fox News host Howard Kurtz tore into the Associated Press on Monday, blasting the news service for running a story that suggested he mistakenly aired an unflattering graphic about Fox News and then ordered it removed when he realized his error. “The Associated Press should be embarrassed by a story that utterly distorts what happened yesterday on my program ‘Media Buzz.’ And its dishonest piece was made worse by the fact that the wire service didn’t bother to contact me or Fox News for comment,” Kurtz thundered in a Facebook post on Monday. The Fox News’ media expert continued in a lengthy post — explaining what he said really happened. “During the segment, the control room mistakenly posted the graphic early, while I was dealing with the fake news questions. So I calmly asked that it be taken down. About a minute later, I asked for the graphic to be put back on the screen and discussed the finding with my guest, pollster Frank Luntz,” he wrote. A review of the actual footage reveals that Kurtz was right and the Associated Press issued a correction on Monday. “This story has been corrected to show that the graphic was taken down because it was used during the wrong segment, and was used again on the show,” the AP said in a statement appended to the bottom of its article. The story came to public attention after being picked up by Raw Story. The AP has now run a correction about my use of the poll graphic on Fox/Trump on #Mediabuzz. I appreciate it, but the sequence shouldn't be attributed to me: There's video! The graphic in questions featured the results of a Monmouth University poll which showed that Americans trusted all three networks more than President Trump. The findings left partisans giggling as the poll also suggested Fox News was less trusted than both CNN and MSNBC. You can watch the clip from Kurtz’s show below.